The diversity of insects is truly astounding. Not just the sheer number of different beetles, moths, wasps, grasshoppers and everything else but also the vast array of habitats and reproductive strategies they use. 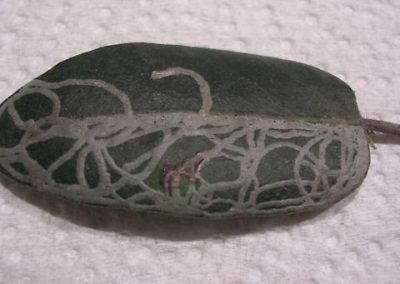 One example of an unusual life strategy is exhibited by the leaf mining insects. These insects have the larval stage of development occurring partially or completely within a leaf. Yes, in a leaf! As you can imagine these larvae are rather thin. Some moths and flies are well known for this life strategy. The family Gracillariidae, commonly called Leaf Blotch Miner moths, exclusively reproduce in this way. They are a very diverse group with over 1,850 species worldwide, 58 of which are known to occur in British Columbia. Species in this family tend to be very host specific while genera often have specific characters as to how they mine a leaf. This makes species identification much easier when they are larvae as compared to the very small and similar looking adults. With wingspans between 4 and 20 mm, these moths are easy to overlook! Marmara arbutiella mining an Arbutus leaf, seen on Galiano Island. Photo Credit Scott Gilmore. 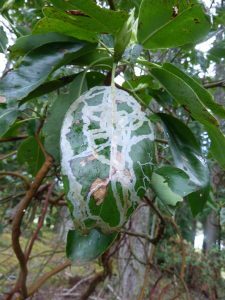 The best example of a leaf blotch miner from the Salish Sea bioregion can be found inside the leaves of almost every Arbutus tree. Marmara arbutiella is very common and indeed is only known to mine Arbutus menziesii. I have seen thousands of these mines but have yet to see an adult. The few times I have tried to raise one from a caterpillar have failed. 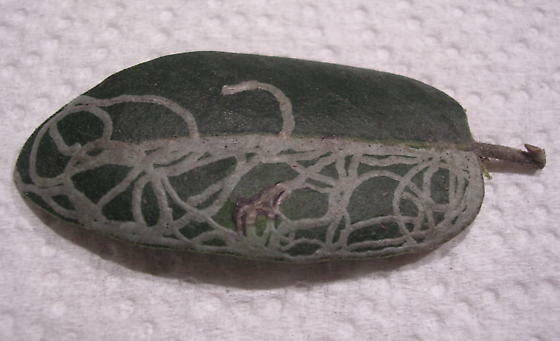 Mines of Marmara tend to be thin and wandering, working their way all over the leaf. 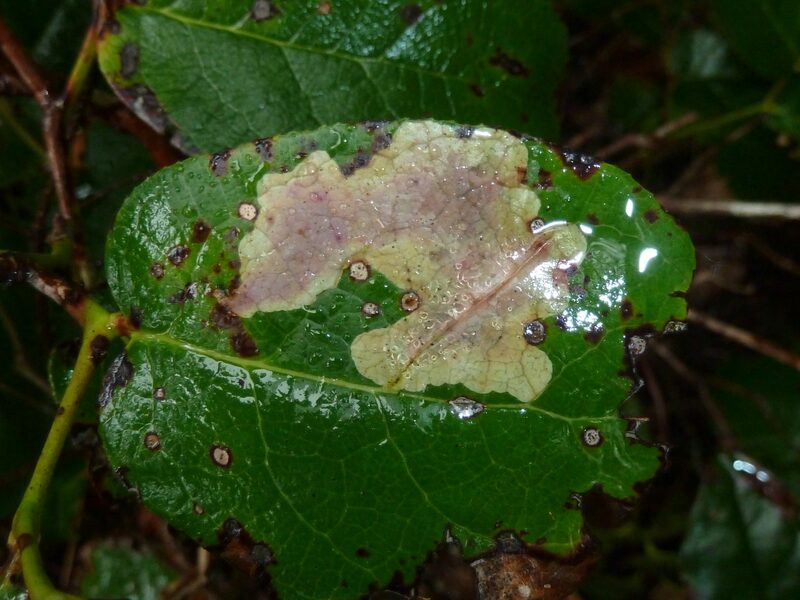 Related to Arbutus, Salal (Gaultheria shallon) is another species known to host a leaf blotch miner: Cameraria gaultheriella. 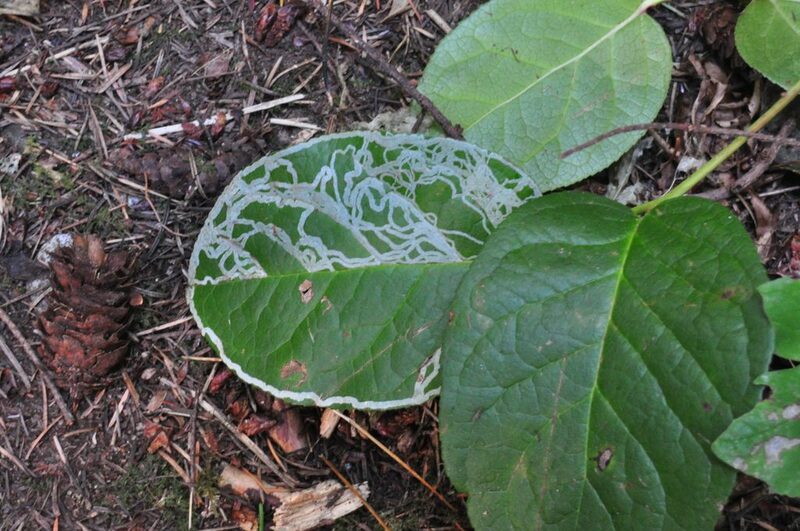 The mines of this moth tend to be very thick and make a large white patch on the Salal leaves. 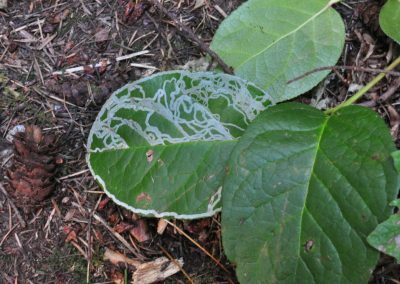 So imagine my surprise when a member of the Biodiversity Galiano project posted a Salal leaf mine on iNaturalist that was long and thin and wandering and not at all the expected big blotch! I searched the World Lepidopteran Host plant database from the Natural History Museum in London thinking I would quickly find what else out there mines Salal. 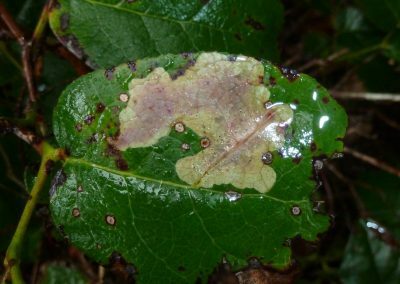 Five moths that feed on Salal came to my attention, but only one of them was a leaf miner: Cameraria gaultheriella. At this stage I knew that I had to turn to Charley Eiseman. Author of Tracks & Signs of Insects and other Invertebrates, and, more recently, Leafminers of North America, Charley is a very knowledgeable person when it comes to anything that mines leaves in North America. Charley suggested that this was either a new plant host for Marmara arbutiella or a new host for the yet to be described species that mines Arctostaphylos. Two species of Arctostaphylos are known from Galiano: Bearberry, or Arctostaphylos uva-ursi, and Columbia manzanita, A. columbiana. So it was possible that our unknown miner was either of the above. Yet a third option was also possible—that this was a new species of Marmara! So, how do we tell what it is? Either we need to raise an adult moth, carefully pin and spread the wings and likely get that to an expert for identification, or we use DNA. DNA barcoding is a powerful tool used for species identification. 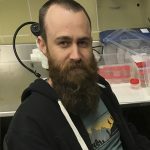 While the technique is still in its infancy, the moths of North America are well on the way to having a good DNA catalogue to help compare new finds with. The first thing we needed was a mine with a larva still in it. Of course this unknown moth species is the proverbial “needle in a haystack” and as such was a little hard to find. I looked for it in Nanaimo and the Yellow Point area and at length found seven leaves. However, only one had the caterpillar still present. The larva was carefully extracted and preserved and sent to a lab in the Netherlands for genetic work. It turned out to be 100% identical with Marmara arbutiella. During the journey to learn more about this moth Charlie Eiseman published a journal article citing our miner moth observations among many others from across North America. This would be the first time an observation on the Biodiversity Galiano project made an appearance in the scientific literature. This moth, then, is the perfect example of the contribution one can make to science, by merely uploading an observation to iNaturalist! Perhaps a community member might even be inspired to go further, and rear up some larvae to moths. As Charlie himself would concur in a recent blog post, the world needs more entomologists!